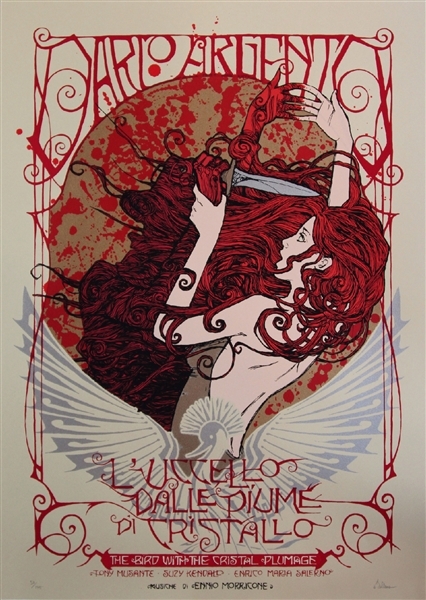 The first print in The Dario Argento Series; 'L'uccello Dalle Piume Di Cristallo' (aka 'The Bird With The Crystal Plumage'). The piece beautifully captures the theatrical and stylish look of the film. 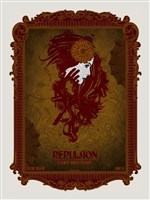 With stunning colours and amazing attention to detail.